Will A Monthly Snack Box Spark Joy? These 3 M'sians Are Betting On That. 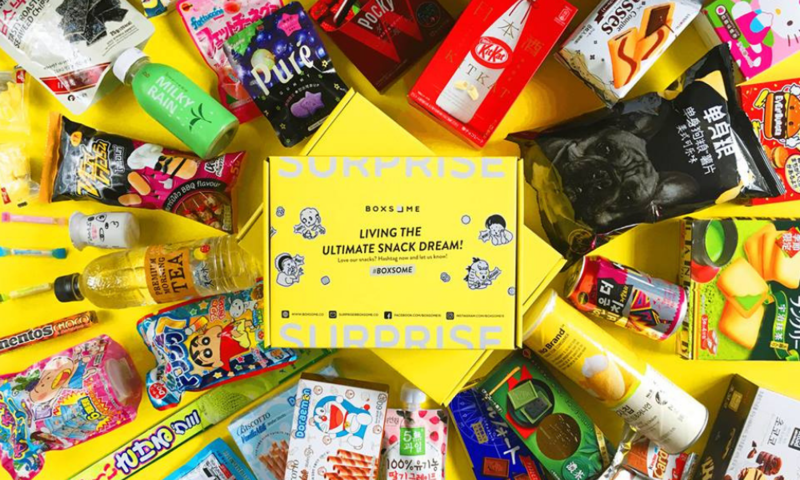 Boxsome is a monthly subscription service that delivers a specially curated box full of snacks sourced from around the world right to your doorstep. The snacks in the monthly surprise box are handpicked by the team themselves after going through a monthly tasting session. The urge to snack throughout the day is hard to resist, particularly if you’re trying to stave off hunger or boredom when studying or working. Capitalising on this urge, a trio of Malaysians in their mid-twenties came up with a product to provide a variety of snacks that serial snackers would probably appreciate. The startup Boxsome launched in 2017; every month, the team packs a bunch of snacks sourced from around the world and delivers them to your doorstep. 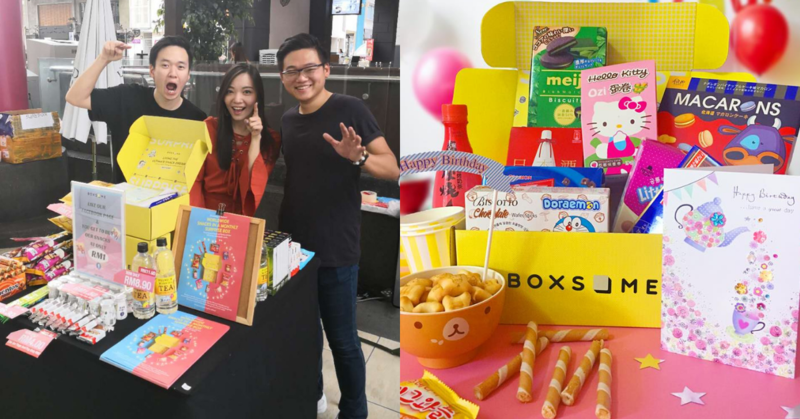 “It really isn’t all about the snacks as well, but the feeling of getting surprised, even if it’s just a one-month subscription,” said Ming En, one of the co-founders of Boxsome. The three of them also had a passion for hunting the tastiest and scrumptious snacks and they chanced upon the idea of a curated subscription box from other countries. “It really gave us an inspiration and we thought it would be fun to put the both of them together—snacks and surprises!” said Ming En. 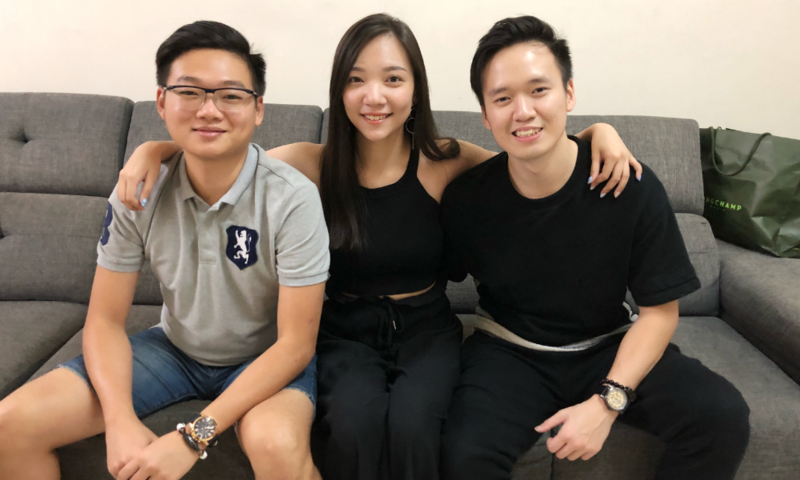 There are a total of 3 founders: Karman, a 24-years-old who is currently a Marketing student; Fanky, 25, a finance analyst; and Ming En, also 25, a marketing executive. In Boxsome, Karman is in charge on the social media content as well as designing, Fanky is in charge of the operations side, Ming En on the other hand is in charge of marketing as well as content creating. The Boxsome team handpicks the snacks that are in the subscription boxes every month through a snack tasting session. The snack tasting team consists of a total jury of 9 members who will meet once every month to go through snacks one by one and rate them on a scale of 1–10 based on different aspects such as taste, appearance and an overall rating on an evaluation form. From there, Boxsome will include snacks that scored above the average into the monthly subscription boxes. With that said, the Boxsome team guarantees that every month will feature a different snack from around the world and the snacks don’t repeat every month. To stand out of the competition, they focus a lot on delivering an “extraordinary” customer experience. “We like treating our customers like families. Therefore, when there’s any special request from them, we try our best to make it,” Ming En explained. As it’s a new concept especially in Malaysia, it’s a challenge for the team to educate consumers about it. Therefore, the team makes a constant effort in leveraging social media when it comes to advertising their product. Since they officially launched in June 2018, they have sold an estimate of 400 boxes in total and an average of 50 boxes per month. Furthermore, sourcing their snacks has also been a great challenge; every month they have to source over 30 snacks from around the world. “We are constantly looking for the latest snacks online and we do get a special price from our partnered wholesaler and importer,” said Ming En. The Boxsome team also has to factor in the tight margins of their business model. They monetise it through the price difference between the wholesale price and retail price of the snacks—making the business highly dependent on volume. “To be honest, the margins are pretty tight, as we want to be as friendly as possible in terms of our price and to give our customers what they have paid,” Ming En explained. On the website, Boxsome offers two options for customers to choose from: a RM48 starter box that has 4 to 8 handpicked foreign snacks with a monthly theme card; a RM68 premium box of 9 to 15 handpicked foreign snacks, 1 imported drink, a Boxsome Favourite Snack of the month and a monthly theme card. The Boxsome team hopes that once they have enough capital, they would be able to invest in creating more awareness to the public and have people know more about the product. “For now, we’re still taking one step at a time and hopefully one day, we’re able to make bigger moves,” he said. Achieving an average of 50 subscribers per month is more than what they expected when they began the business and the team will be looking to achieve more milestones in the future. He also has big ambitions to open a physical retail shop in the future that sells snacks sourced from around the world. If you would like to find out more about Boxsome you can check out their social media here and website here.